Photograph Copyright ©2011 Loo Yen Yeo. All Rights Reserved. Description: The Classics' Rebirth resounds in modern-day imagery. This hoarding of the Spring 2011's latest fashion carries the soft femininity of Botticelli's 'Primavera' against Carlo Rainaldi's hard-yet-ornate baroque façade of Basilica di Sant'Andrea della Valle (1663). This is drawn from the work of Swiss painter, designer, educator and writer, Johannes Itten who taught at the Bauhaus (1919-1922); particularly from his "preliminary course" covering the basics of material characteristics, composition, and color. Contrast formed the root of his theory of composition, and he sent his students out in search of juxtaposed contrasts to awaken their sensitivity. construct an image of the contrast. What sparks enthusiasm in you? How do your interests affect you? How do you want to convey your thoughts photographically? "Good composition is the artist's way of directing the viewer's vision in a planned de-randomised fashion" - Bruce Barnbaum in 'The Art of Photography' (2010). 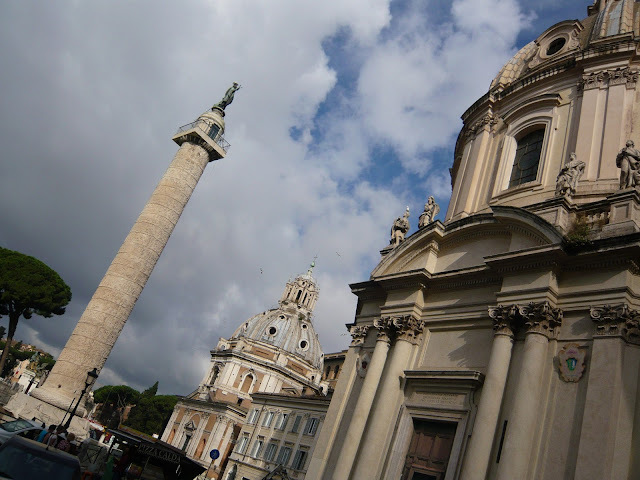 Description: The horizontal entablatures of Santissimo Nome di Maria al Foro Traiano (foreground) and Santa Maria di Loreto (background) tug against the frame, drawing the eye to the monumental diagonal of Trajan's column then leads it upward to the cornice beneath the statue of Saint Peter. The most fundamental difference between images as seen by the naked eye and those through a camera, is the presence of a distinct frame in the latter. This is first felt by the dark surround of the viewfinder - which draws the eye to its corners and edges - thus exerting a pressure on the composition of the image. Want to find out how deep the rabbit-hole goes? That would be in date order, most recent first. Most blogs are arranged in this way, so very little energy's required - all it takes is a bit of scrolling and the occasional click on 'Older Posts'. Best used if you fancy a touch of randomness 'Loo-style'. 'Where have we been?' is the blog archive. Just click on the wedges to open up the post topics. Best suited if you're the sort of person who enjoys browsing in a bookshop, flicking through pages and stopping when something catches your eye. This is the blog's 'Table of Contents'. If you're a structured learner, this one's for you. The ideas behind visual composition are laid out in order of development, from the basic to the more advanced. Clicking on a topic title will take you to the relevant post. Yellow index numbers are subtopics with photographic examples; clicking on the sub-topic number (e.g. 1.1.2) will draw up all posts with illustrating photos and, where tag limits allow, the description of the concept. "If you, unknowing, are able to create masterpieces in colour, then unknowledge is your way. But if you are unable to create masterpieces in colour out of your unknowledge, then you ought to look for knowledge" - Johannes Itten, Bauhaus teacher in 1920s Germany. 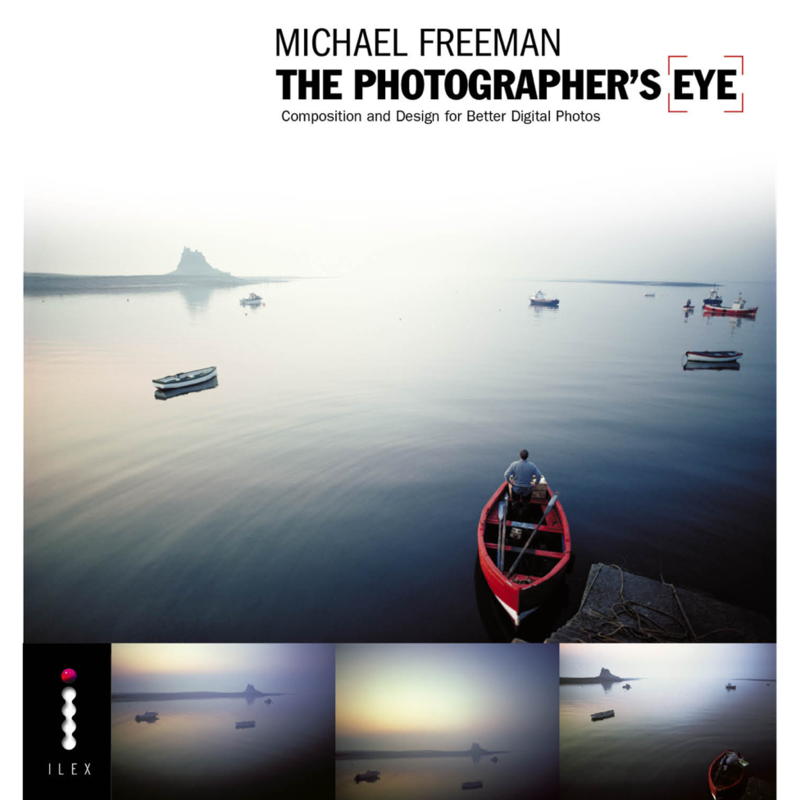 I've read Michael Freeman's book cover-to-cover and the pedagogic structure is sound. The matter now is how to make use of it as a tool of personal development. "How do I take stock of my skills?" "What form should it take?" website - set-up cost and administrative overhead is high. image gallery - doesn't accommodate the necessary discourse easily, may enforce frame dimensions (e.g. instagram) which undermine a key aspect of composition. blog - has the flexibility and low set-up costs, but there are restrictions on total storage occupied by photos and it is strongly sequential which can be managed by good labeling and linking (requires organisational overhead). I opt for the blog format because of its low initial overheads, to get a feel for the scope of the project before greater commitment. concerns how I generate and use learning content. "Should I go comb through my existing catalogue, looking for items which demonstrate each topic?" I decide not to reinvent the wheel, at least at first. Re-curating my collection will exercise the skill of composition analysis. A simple frequency analysis will indicate which skills or 'ways of seeing' are better developed, and which ones less so - any gaps identified can be filled in with new photos. Finally, a series of complete run-throughs will be required to develop conscious competence into subconscious competence. There are shoals of books on the wielding of a camera, and if their promise of making one a better photographer rested on their pictorial content alone, then any one of a thousand candidates would be likely. What sold this book to me was its table of contents. As an educator, it communicated straight away that the author understood his field well enough to distil it down to a small group of core principles, and to order them in priority - a hierarchy of development. As an autodidact, his tone of voice had to resonate with me - to be clear and yet not patronising; to be succinct, yet not terse; to be warm and credible. Michael Freeman does all of these things. I have rarely enjoyed a book so much, learned so much, and so quickly. He is true to his word, holding firmly to the ideas of composition and design by addressing the qualitative nature of the arrangement of visual elements. What the book calls "Chapters" are sections covering: the image frame; design basics; graphic and photographic elements; composing with light and colour; intent; and process. Under each section are a number of concise topics, well explained and well illustrated. Some might baulk at the price, but it is tremendous value - the publication is a generously proportioned 192 pages, the high production quality is essential, and it rewards multiple re-readings. Very highly recommended. I've already added Mr.Freeman's other books to my wishlist.